Required Candidate for NATICON RESEARCH PVT.LTD. Candidate should have Science background and experienced at least two years along with work of Gyn.and Ortho. Required Medical Representative in Bhopal HQ Oaknet pharmaceutical pvt Ltd. Division skin care..Derma experience will be given preference. CANDIDATE SHOULD BE SCIENCE GRADUATE .HAVING 6 MONTH EXPERIENCE WILL BE PREFERRED. *Criteria* : Minimum 1 or 2 years of managerial experience in Diab/card segment at same post. FOUR SEASONS PHARMACEUTICALS Pvt. Ltd. have a vacancy at DEORIA Hq. A GOOD CANDIDATE FOR POST OF M R IN LINCOLN PHARMACEUTICAL LTD IN RAIPUR HQ. Senior Representatives are also welcome. As a Medical representative consistency 3-5Yr, in one company. We Are recruiting Dynamic Candidates for Delhi South & East with experience in Dermatology and Cosmetology. --:Minimum 1 year Experience in dermatology. Vacancy at Nutrimed for the post of NSE For UP- at Agra-1, Aligarh-1, Noida-1, Ghaziabad-1 candidate per HQ’s. For Delhi- East Delhi-1 candidate. For Rajasthan- Jaipur-1, Kota-1, Udaipur-1 & Jodhpur-1 candidate per HQ. For Madhya Pradesh- Indore-1, Bhopal-1, Jabalpur-1, Ujjain-1, Gwalior-1 candidate per HQ. Nutrimed is an indian MNC in the segment of All ages & all segments nutrition, its based at Faridabad. Now I’m looking for a suitable candidate from the nutrition segment having at least 6months to 1 year experience for NSE & For ABM- minimum 2-3 years at same level & same segment can apply. Candidate Must be a B.Sc. Or a dietician who has the good command over paediatric & gynaecology segment will be prefer for NSE . Good communication with a performing track record female/male both candidates can contact on given blow number or rush ur resume on mail. Age :Not more then 28 year. VACANCY in SYSTOPIC LAB PVT LTD ForUjjain H.Q. Candidates must be B. Pharma or B.Sc only with good communication skill. Urgent medical representative vacancy in La-vella healthcare for indore HQ. The only experience as a 2nd line manager in Opthal division in present or past company can apply for this post. Vacancy in Nutritional Division for the post of Medical Representative. 5. Asansol, Durgapur and Kolkata. ELSKER LIFESCIENCE at North Delhi Headquarter. Graduate in any stream with minimum 3 month experience in the same industry. PREMIER NUTRACEUTICALS Pvt LTD. Maker's of Coral calcium. Candidates should having min. 6 month experience.at Indore can apply. Regional Manager (first line) in ASPIRE A Division of RAPROSS pharmaceuticals Ltd. Covering H.Q.- Gwalior, Shivpuri,Guna & Jhansi. Age - Below 35 Years. *Senior Medical Rep. can also apply. *Salary is negotiable for right Candidate. There is Vacancy in Cipla Vitalis 1 Division, Raipur HQ .So kindly suggest Good Candidates having Cardio Metabolic Exposure and Science Graduation. Candidate should be graduate with maximum age 26 yrs and minimum 6 month experience. Vacancy for Medical Representative in FDC (PROXIMA) at Raipur H.Q. Minimum 1 Year Experience with good communication skills. Request Freshers please do not apply. Qualification- Graduation complete. Any B. Pharma, B Sc. B com, BA. VACANCY IN FDC. SELECT DIVISION FOR THE POST OF TERRITORY MANAGER* (TM/MR) AT JABALPUR HQ. Medical Representative for Indore HQ. Require Medical Representative in Raipur Alembic ( Gyn) Div. Candidate must be science graduate and age below 26 yrs. 2. South Delhi Vasant Kunj. 4. Area Manager South Delhi. Min.6 Month to 1 year experience. in Multi Speciality Division of Unique (JB Chemicals). 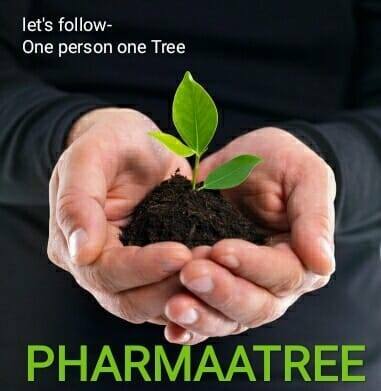 Pharmacy / Science Graduate Freshers to One Year Experienced can apply. Growth on package as per industry norms, with Huge Incentive Earning Opportunity. Qualification should be Bsc, Bpharma or Dpharma or any graduate. Vacancy at Torrent pharmaceutical South Delhi location fresher BSc, B. Pharma and experience any stream both can apply. CUREWIN HYLICO PHARMA PVT LTD.
Medical Representative at DHAR H.Q. MEDICAL REPRESENTATIVE AT RAIPUR AND DHAMTARI. MINIMUM 1YEAR EXPERIENCE REQUIRED. SALARY IS NO BAR FOR DESERVING CANDIDATE. Requires MR at Itarsi HQ. with good communication skills with 1 year experience. Vacancy in Unique Jiva a division of JB CHEMICALS for MR in Raipur And Durg HQ. Experience and Fresher both can apply , age should not be more than 26Y. Contact: Area Manager Rahul Singh. medical representatives at JABALPUR HQ experience and Aspiring candiates with proven track record can Contact : Mr Manish Shrivastava Rsm 9893885918 D P MISHRA 7999303282 or send your resume at shrivastava.manish@ymail.com. Wockhardt Gynecology Divn urgently required Territory Manager for Raipur HQ. Candidate should be Pharma / Science. Graduate with at least 1 Year experience in the same territory. Age limit 28 years. Salary neogotiable. Requires MR at Indore HQ. with good communication skills with 6 month experience.